Mauro Poponcini (°1956) and Patrick Lootens (°1958) studied architecture at the Faculty of Applied Sciences at the University of Leuven (1981). Mauro Poponcini teaches at the University of Leuven, Department of Architecture, Urbanism and Planning, having extensive experience in the supervision of architectural assignments and urban planning studies. 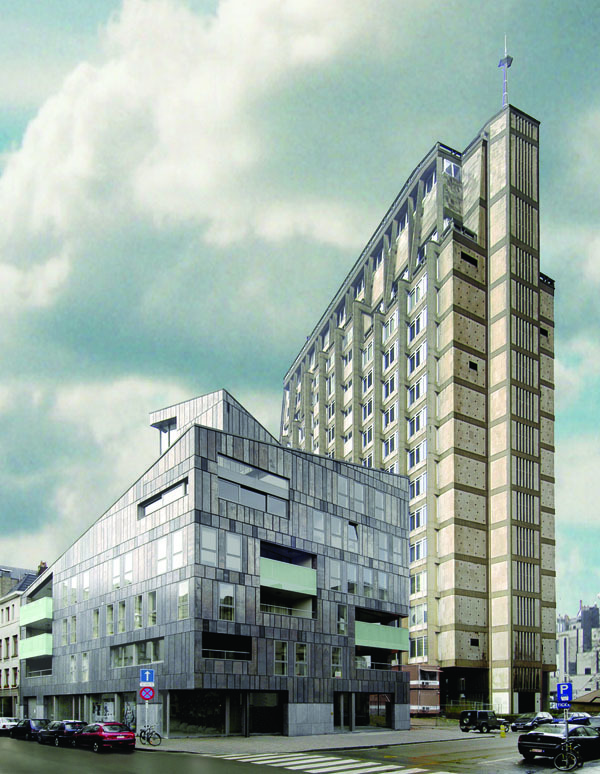 Patrick Lootens also taught until 2005 at the University College of Antwerp, department of Architecture. He is currently following a Master’s in Urbanism and Strategic Planning at the University of Leuven. Mauro Poponcini and Patrick Lootens have been running Poponcini & Lootens ir. architecten bvba, established in Antwerp, since 1991. The team consists of 43 employees in total. Poponcini & Lootens ir. architecten bvba is a team of architects that operates as conceptual designers of a wide range of programmes, with sufficient capacity for realisation in the search for concrete solutions, taking account of the programmatic requirements of the client, the budget and the constructional demands. In this, Poponcini & Lootens ir. architecten is supported by specialists in the relevant disciplines. 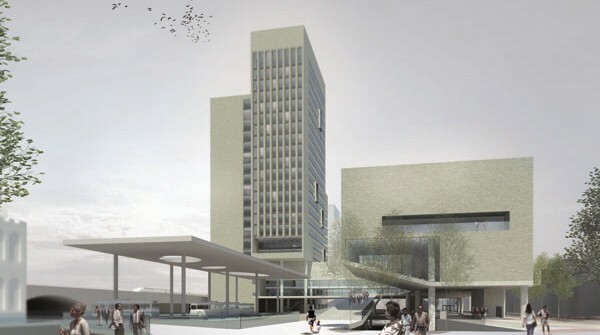 The commissions that come to the bureau are very diverse in nature and scale: residential, educational, commercial premises, offices, urban studies, etc., in respect of new construction as well as renovation of private and municipal buildings. The methodology used in these diverse commissions is uniformly applied, irrespective of scale. The architecture of Poponcini & Lootens ir. architecten bvba is presented as an inherent logic between programme, construction, form and environment. The design results from the critical response to the programme and the determination of the relationship with the environment, based on a thorough analysis of the environment and of the social context. 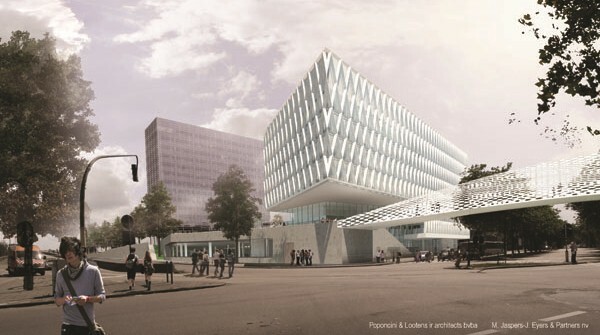 From an architectural point of view, Poponcini & Lootens ir. 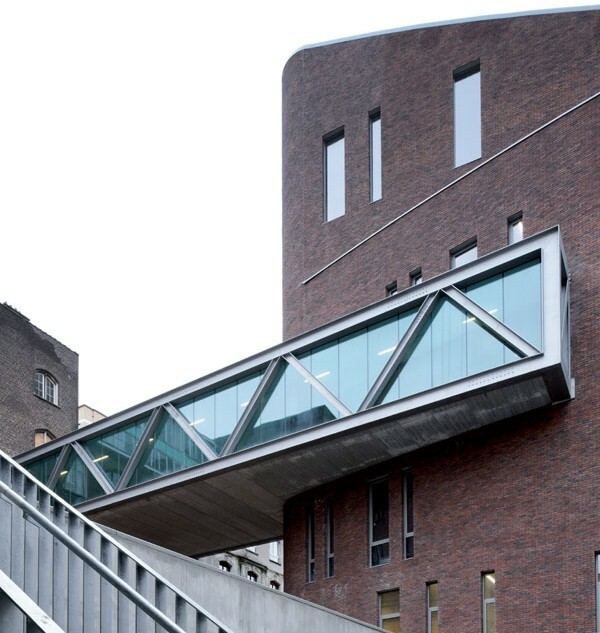 architecten bvba seek the qualities that endure as well as a corrective relationship between form and space, connecting with contemporary conditions.